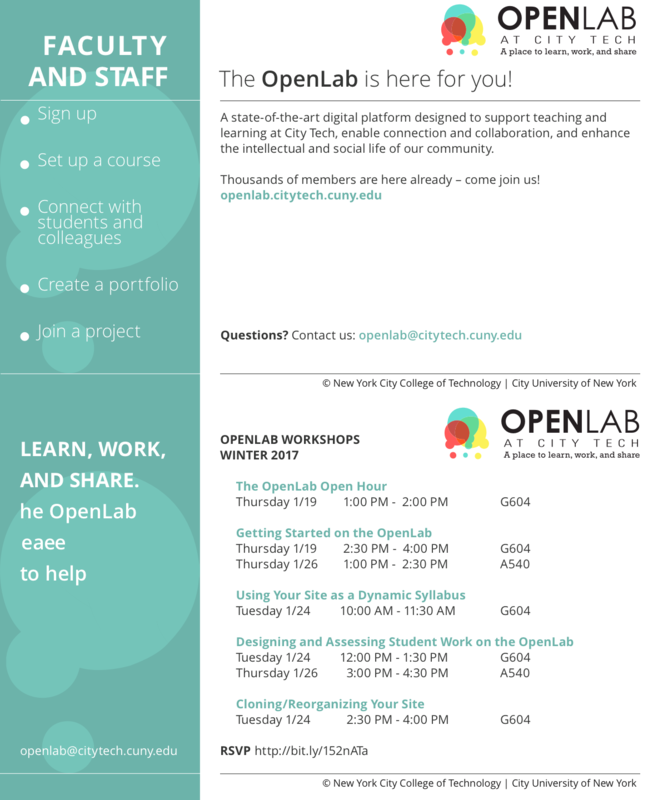 Ready to learn more about setting up your course on the OpenLab? This workshop helps you create your course profile and course site with an emphasis on using OpenLab features to enhance your course syllabus. Please bring your syllabus and other course materials to this mixed-level session. Please note: An OpenLab account is required!